Our range of products include paver machine for construction. 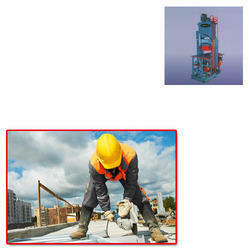 With an increased proportion of technology, we are offering a qualitative assortment of Paver Machine for Construction. Our paver machine is high on demand among customers for its high performance. This paver machine is developed using best in class material under the guidance of skilled professionals keeping in mind the international standards. Offered paver machine is examined on several quality parameters for assuring its flawlessness. Looking for Paver Machine for Construction ?